I have a stake, or at least a pastry, in the story of the failed café chain Patisserie Valerie. In the early 1980’s I was a wide-eyed student in Central London, having wandered in from the provinces (Essex). Soho was a short walk from the college and at its heart, wafting the exotic promise of old Europe, sat Patisserie Valerie. One of its heavy, crisp buttery croissants was edible luxury, spread with apricot jam, and about as much as I ever felt comfortable spending on eating out. It tasted distinctive, different to others I’d had, and carried a sense of the place. Twenty years later I was surprised, and initially pleased, to see more cafés carrying their name start to appear. I didn’t realise that this was the result of their dramatic expansion following the purchase of a majority stake in the business by Luke Johnson’s Risk Capital Partners. What I did notice was a subtle change in Patisserie Valerie itself. A place rich in character, and delicious baked goods, had been turned into a formula. 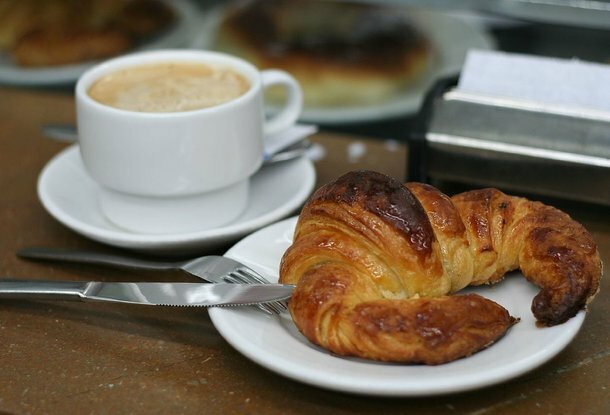 Not only did the croissants not taste as crisp and fresh, a flatness seemed to pervade the atmosphere of the cafés which once breathed with vibrant character. As the business enjoyed apparent success, its soul went stale. Now, from an economic point of view, the Patisserie Valerie story is as scrumptious as its former croissants were. It is full of jaw dropping detail, finance bosses resigning, a Serious Fraud Office criminal investigation launched, alleged forged minutes, forged signatures, and fictitious invoices. The business experienced massive growth after being bought, going from 8 cafes in 2006 to a chain of 192 by May 2017. But was the Patisserie Valerie story one of a daring entrepreneur who took one risk too many- or an example of individuals and systems of financialisation – driven in ways that were obviously reckless and unsustainable? Luke Johnson didn’t invent the charming traditional methods of Patisserie Valerie; a possibly fictitious Belgian businesswoman did that around 1926. It doesn’t look so sensible now to take a café business, which was based on local shops with a good, regular clientele, and making popular produce, and turn it into an industrialised system of baking and high speed growth in a crowded market. And that’s before the intervention of the Serious Fraud Office. There are lessons to be learnt from the collapse of the chain, not least for the sake of employees in the future who need better security than that provided by Patisserie Valerie. Some employees were told in cursory fashion by stand in managers only the night before that they didn’t have a job to come to the next day. If Britain is going to bring back life to the blighted areas of the country, and not go stale like an abandoned cake, its business models will have to change beyond recognition. The lessons are about size, localism and plunder. The need for proper oversight of companies seems almost too obvious to need mentioning here. Even in a state of collapse, most companies are not visited by the SFO, so the failure of oversight in this case was catastrophic. Under our current financial and business systems the whole aim of acquiring a good small business, such as Patisserie Valerie, is to expand it regardless of realistic viability, in order to set-up an IPO, Initial Public Offering, or to sell it on. The substantial profits in either case typically go straight to the Boards and senior management. Luke Johnson is estimated to have received £40 million from the expansion and flotation of the company. Patisserie Valerie is yet another lesson of the costs and damage of financialisation. The long term build-up of a company, its value to the social fabric of where its outlets are sited, its care of employees, its link to its locality, and even the careful growth of profitability in each outlet – all are sacrificed to toxic financialisation. The model caused the failure. The size of the company caused the failure. The loss of its soul and character as a small chain of eight Belgian cake shops, to an industrial process feeding 200 shops, caused the failure. The idea that a company which makes real things – even cakes – should be treated by the current financial orthodoxy as a fairly short term opportunity for the accretion of great wealth by a few, is a toxic one for a healthy economy. If Britain, under Brexit or not, is going to bring back life to the blighted areas of the country, and not go stale like an abandoned cake, then that model will have to change beyond recognition.